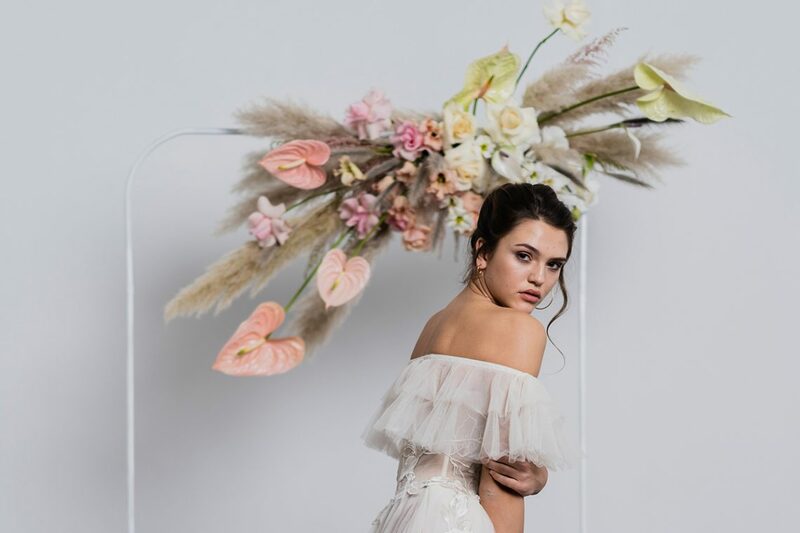 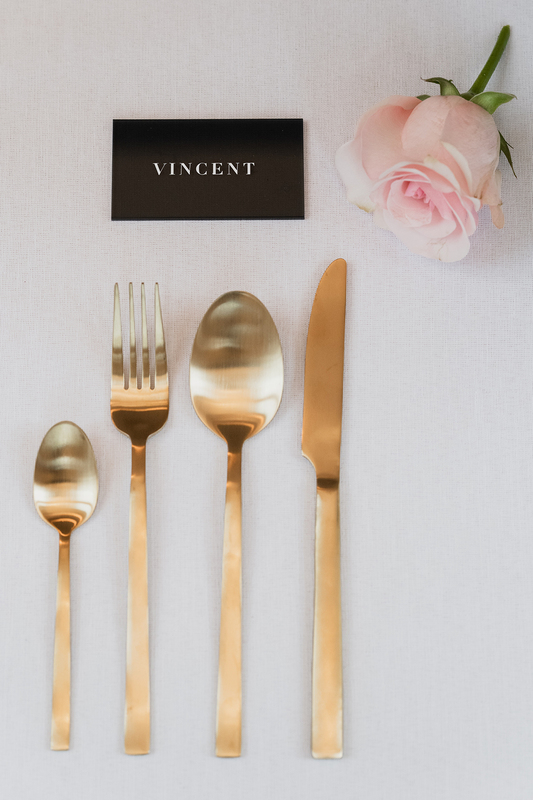 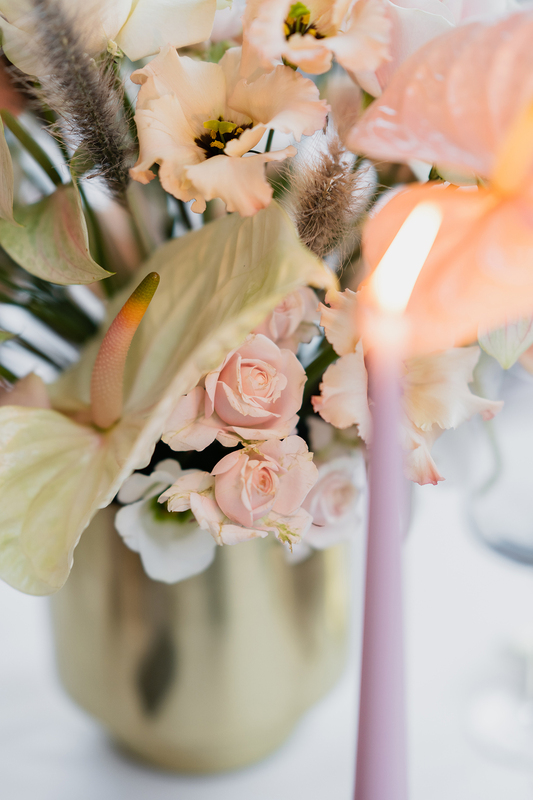 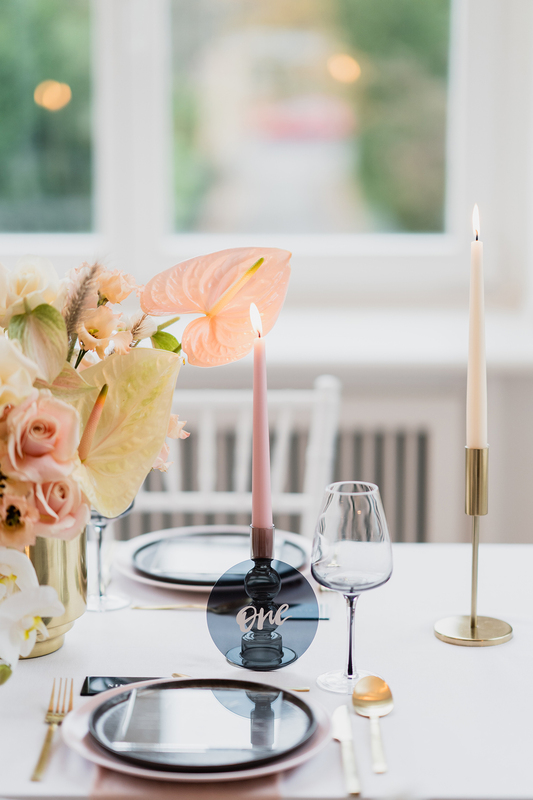 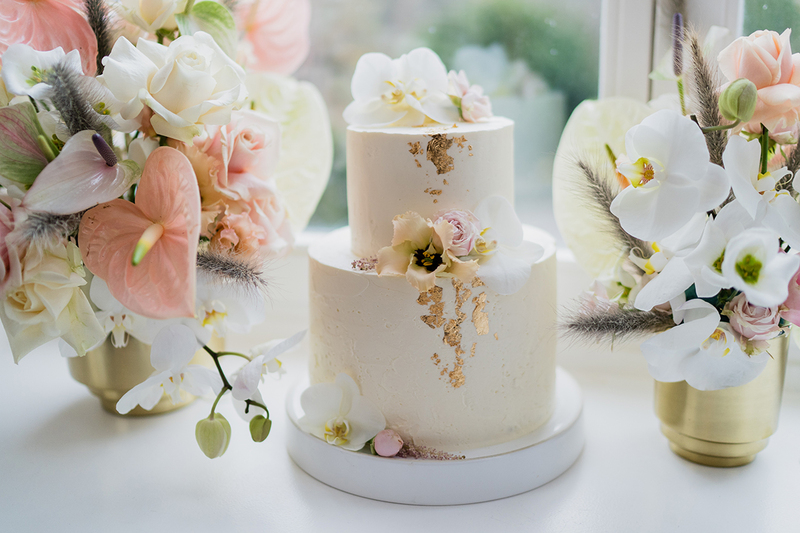 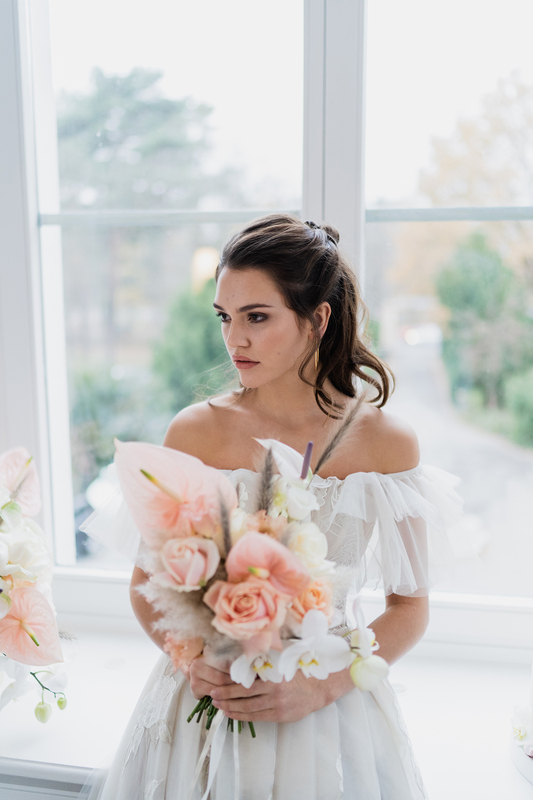 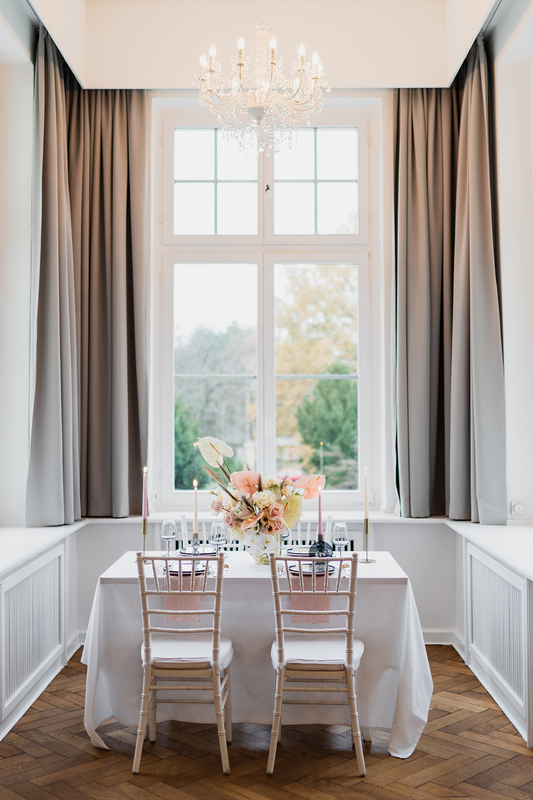 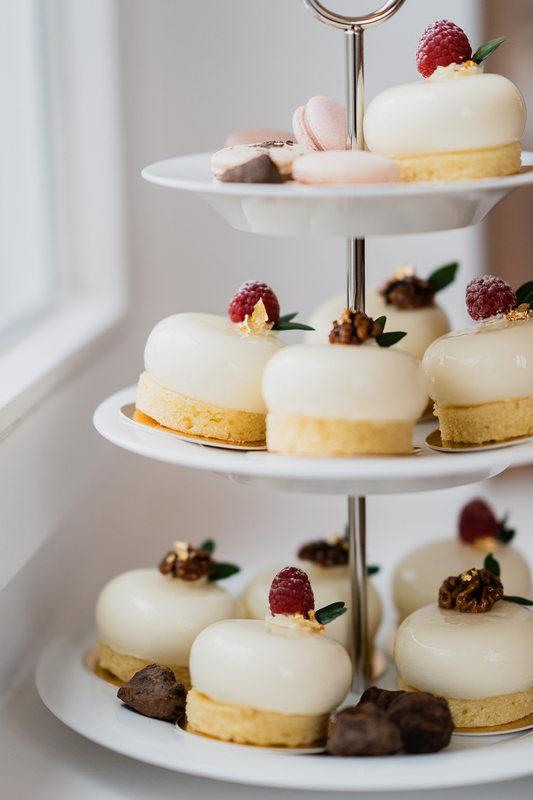 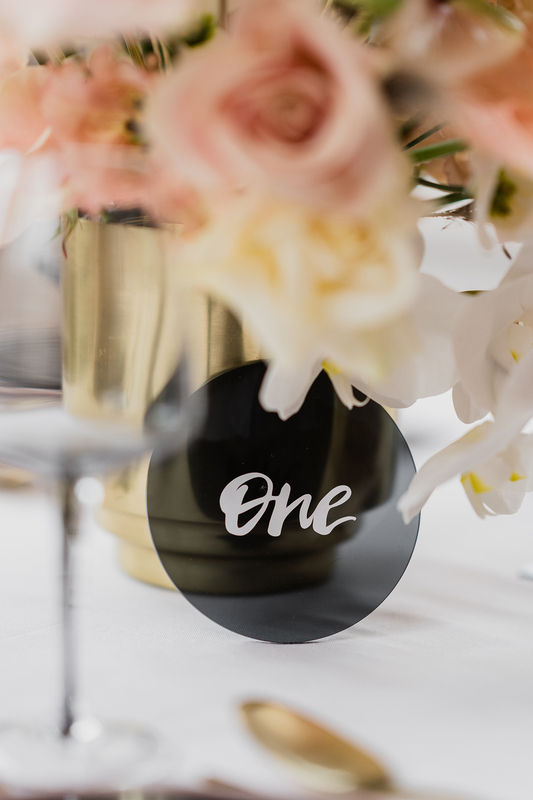 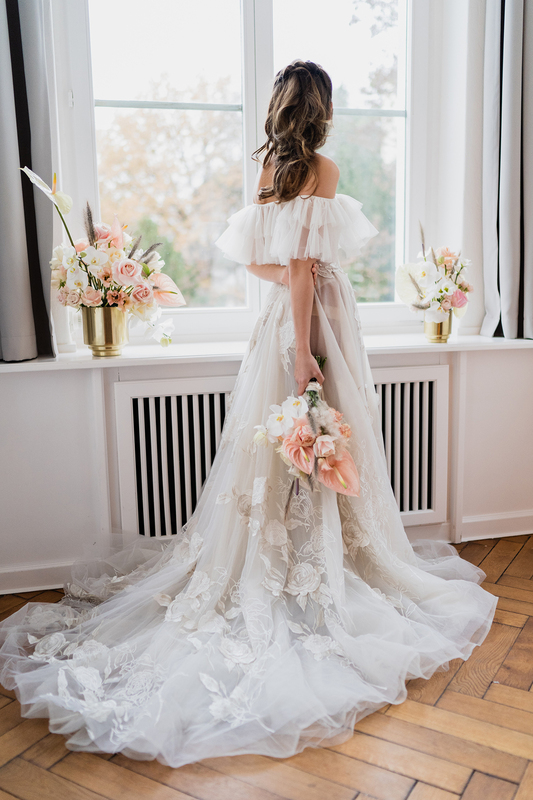 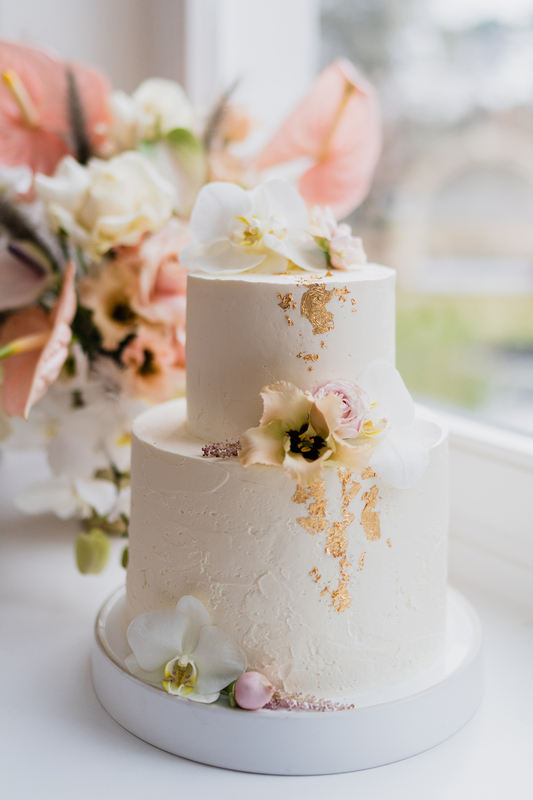 IDO Events and Frieda Therés have us swooning over this chic modern colour palette and contemporary details in their shoot by Hochzeitslicht at Villa Schützenhof. 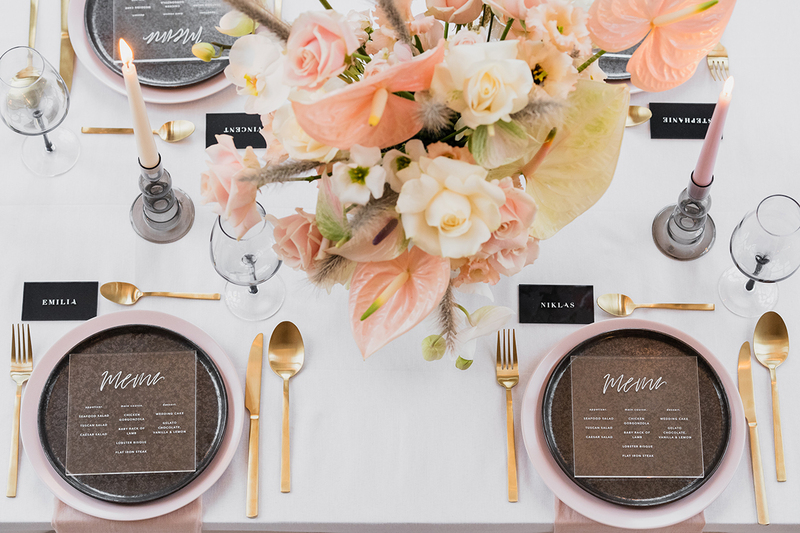 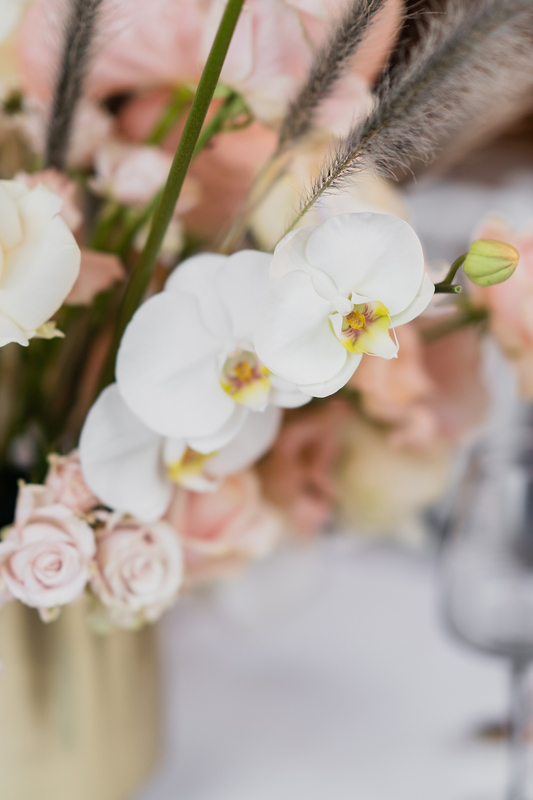 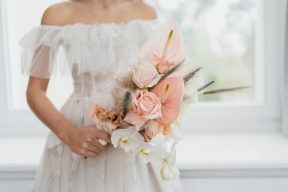 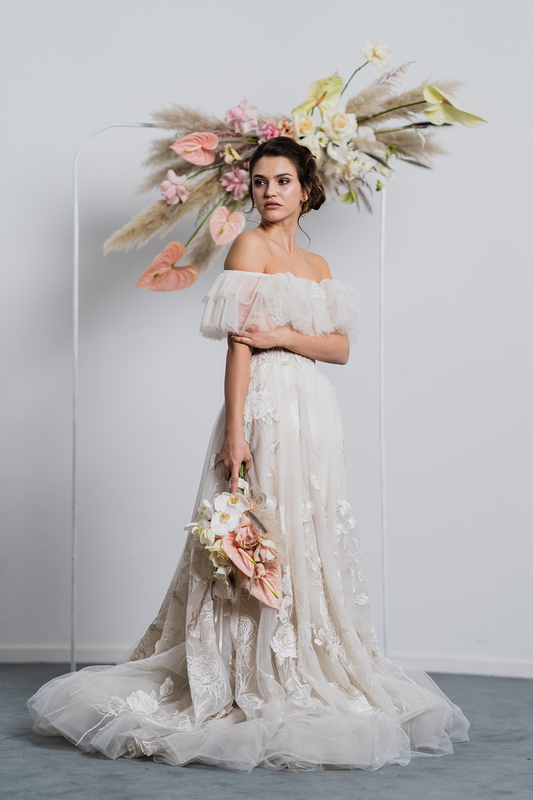 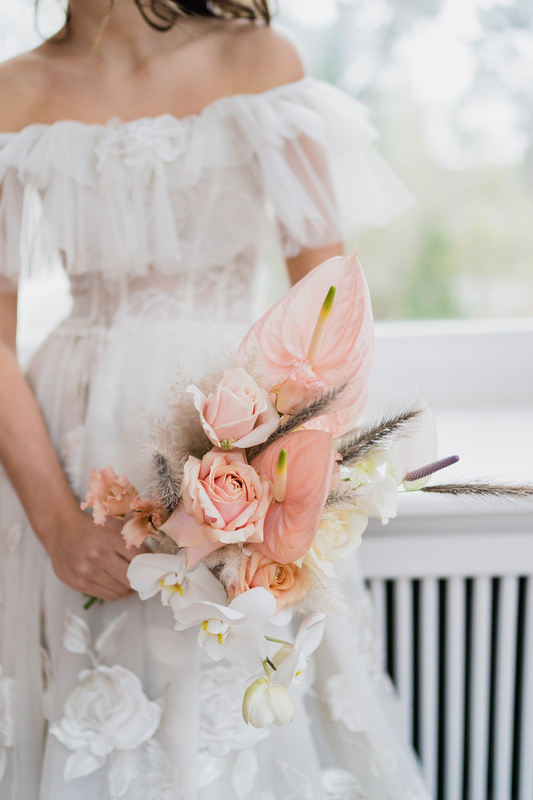 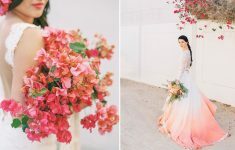 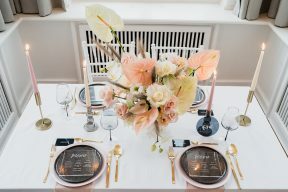 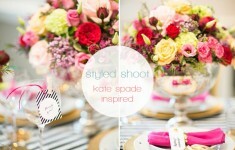 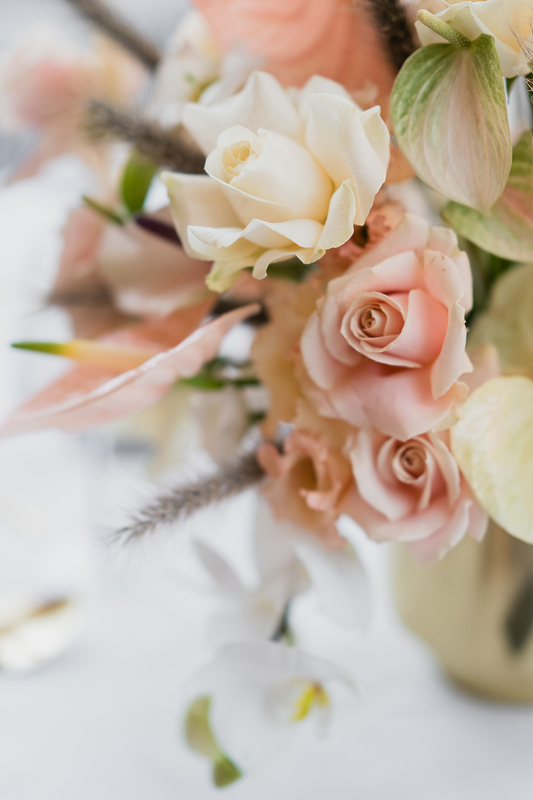 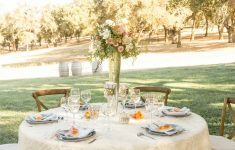 We love how they have taken a modern timeless setting and really created something super fashionable with incredible florals by Katya Stavitskaya which offset the light and neutral decor with pops of apricot peach. 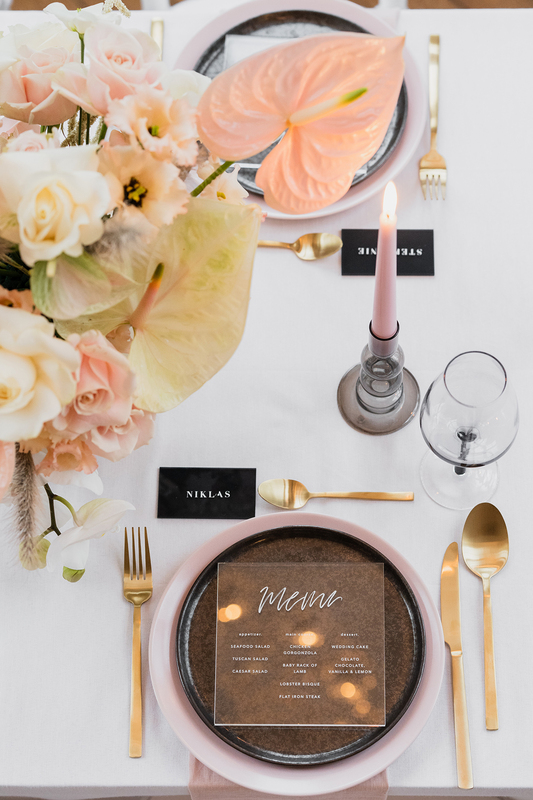 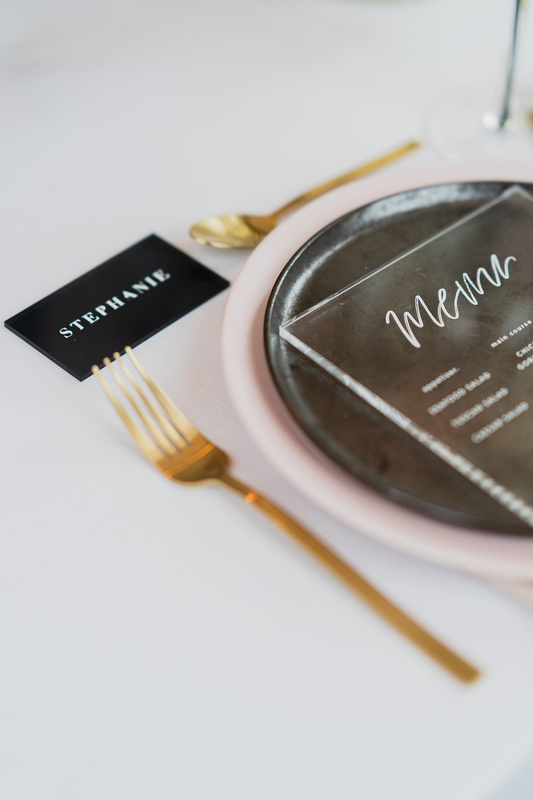 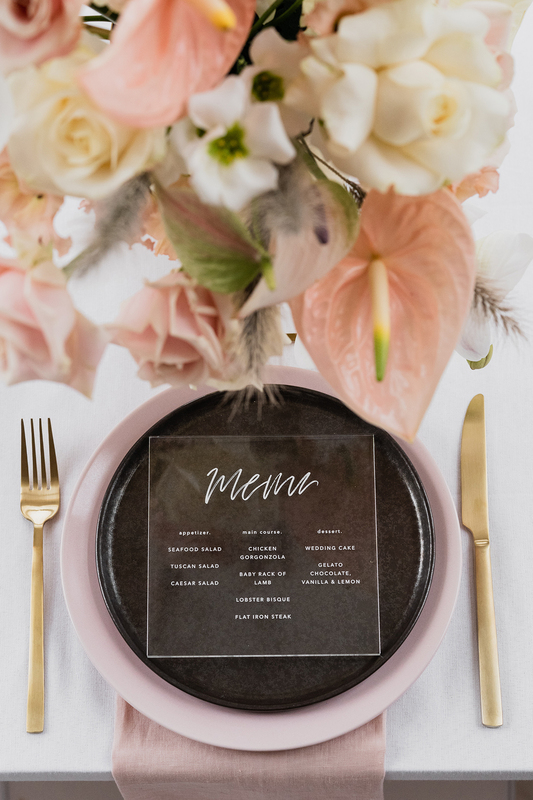 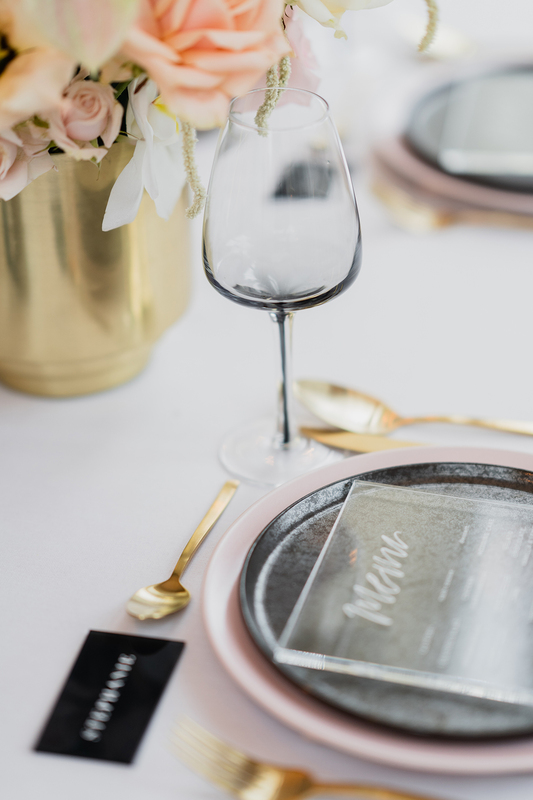 See how them team add smoke glassware, dark plates and gold details sparingly to keep the color palette light and bright and have that minimalist edge we love so much! 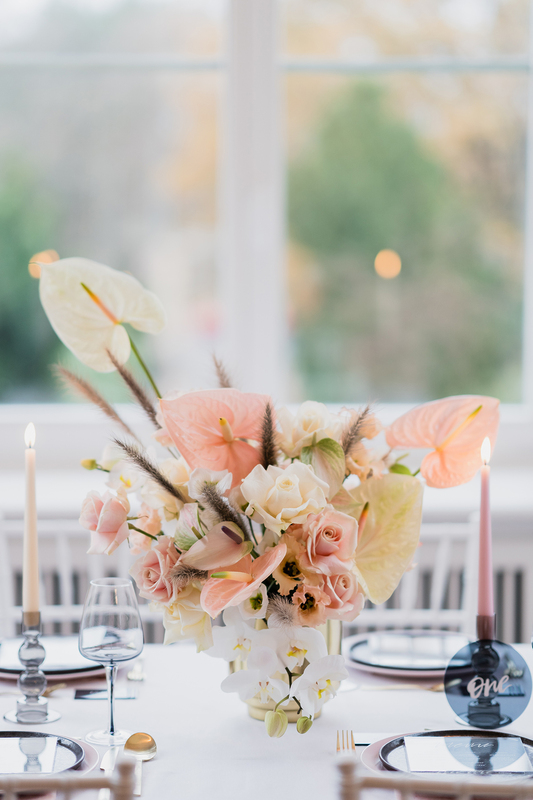 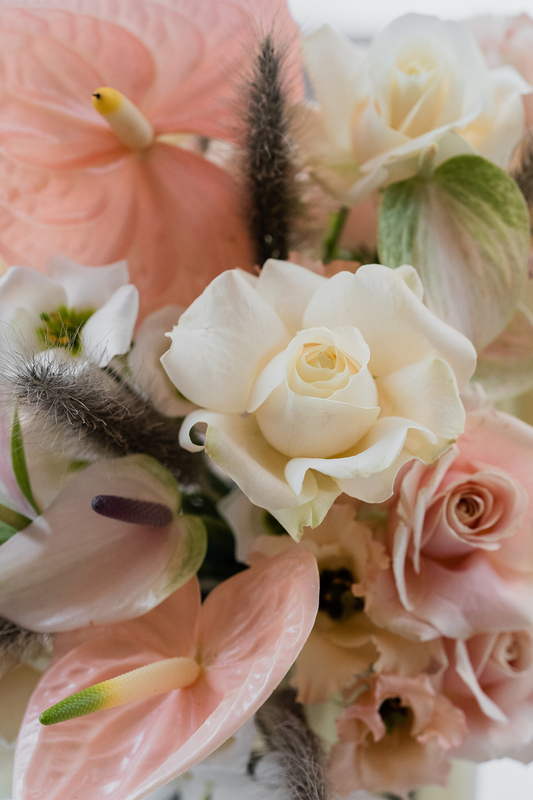 Anthurium flowers, aka Flamingo flowers combined with orchids and roses – yes please!